I founded New Home Real Estate back in 2014 after spending long number of years at Coldwell Banker – Winchester, MA where I mastered the skills of the real estate profession, building on the rock-solid foundation in business, sales and negotiation I already had. I have a degree in Civil Engineering and right after I graduated, I started my first business. I have been resident of Greater Boston area ever since 1995 and I have held job positions that require deep understanding of the process, proactive approach, strong communication, top sales, negotiation and people skills. Those positions include; Sales Manager at Herb Chambers Infiniti – Boston, Sales and F&I Manager at Honda Cars of Boston, Store Manager at Mattress Discounters… etc., and despite my notable achievements in my previous carriers, I moved full time to the field of Real Estate at 2007, which has always been my real passion. At this point I was already licensed for many years, In fact, I got my first Real Estate license back in 1994 back in Europe. Along with being well-known and highly successful representative for homebuyers and investors, I am an expert with proven track record in marketing and selling of suburban and urban residential properties; Single Family homes, Townhouses, Condominiums, Multi Family homes, Vacation homes, Investment properties and new construction. 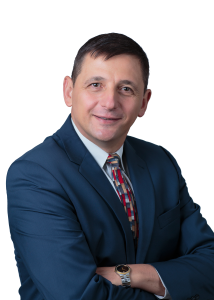 Other than my home area, North and West of Boston, I am very successful in representing clients in all of Eastern MA, from NH to Cape Cod, from the waterfront to beyond I-495, in selling and purchasing properties, from affordable to luxurious. I also represent Landlords and Tenants in rental transactions. I never forget that my success would not be possible without my loyal and satisfied clients, so i give back to the community by donating to honorable initiatives such as buying a building for the Bulgarian Center of New England, home of the Bulgarian School “Sts Kiril and Metodii” and the Bulgarian Church “St. Petka” as well as sponsoring various community events. Please feel free to contact me for no obligation consultation or to refer me to your friends and family.